No More | Ridge's Stitches | Health Coach. Yoga. Clothing. As I have grown up, I have learned more about the prevalence of sexual assault and domestic violence. It has been a topic of conversation across the news and a real life issue among a number of close friends. Individuals affected by this horrible act often feel embarrassed or afraid to talk about it. But conversation is the key to changing this and making it easier for victims to ask for help! In an effort to mend the world One Stitch at a Time, we are raising awareness for the organization Love is Respect during the month of February. 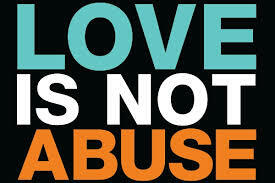 One in three teens experiences some form of relationship abuse and two out of three never tell anyone. February is teen domestic violence month so let’s help end the shame and stigma of sexual assault and domestic violence. Order a stitch today!